According to the World Health Organization, over a billion people, about 15% of the world's population, have some form of disability. Between 110 million and 190 million adults have significant difficulties in functioning. Rates of disability are increasing due to population aging and increases in chronic health conditions, among other causes. People with disabilities do not have a resource readily available, in one easy to access location, to inform them about the disability friendly features they may or may not find at the places they visit throughout our country or the world, or find safe, reliable services and employment...until now. Photo Caption: A man in a wheelchair opening a traditional commercial grade manual door. The goal of Ability App is to improve the lives of all people with disabilities by giving them the resources to make informed decisions. Ability App will help people with disabilities and caregivers search for specific disability friendly features, services and employment. Disability friendly features at specific locations will be listed like wheelchair ramps, Braille signs and menus, service animal relief locations, assistive technology for people with hearing impairments, wheelchair friendly restaurant seating and more. The app will be free to download on any mobile device and will also be available on the Ability App website. Ability App is currently being developed and isn't available to download quite yet. We look forward to launching in 2019! People who have visual impairments, and people without the use of their limbs, will be able to search the app simply by using their voice. Development Phase 2 of Ability App will include services. Services listed will include in-home care, grocery delivery, transportation, and occupational therapy. Development Phase 3 of Ability App will include employment listings, specifically for people with disabilities. Image Description: A Screen Shot of the Ability App Prototype showing a map in the background with floating tiles over the top of the map displaying accessibility information about restaurants in Post Falls, Idaho. 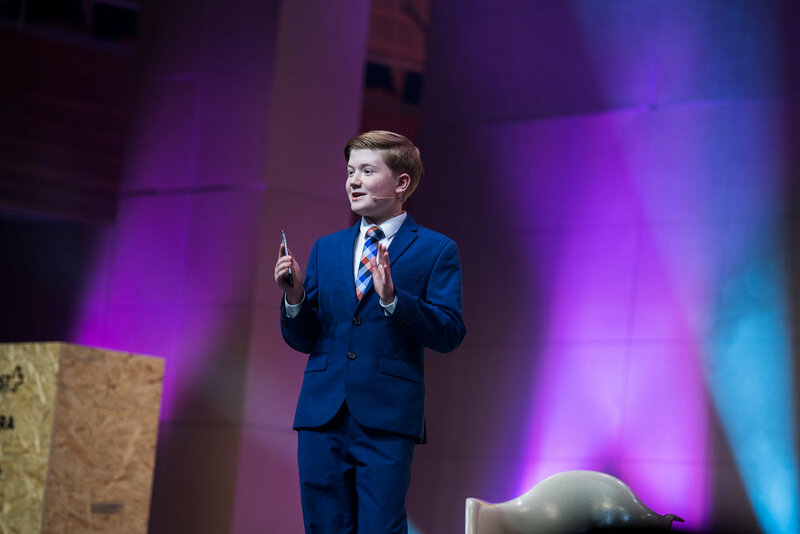 Ability App was founded by Alex Knoll in 2014, when he was just 9 years old. It all began when Alex saw a man in a wheelchair attempting to open a very heavy door at a sporting goods store. The door didn't have an automatic push button to open the door. As the man struggled to get through the door, Alex wondered if there was an app that could have told the man, before he left his house, about the accessible features available at this and other sporting goods stores around the area. After doing some research, Alex wasn't able to find any such app. So, he decided that he would create an app to assist people with disabilities in finding the disability friendly features at various locations that could meet their needs. "My goal is to create an effective app with a database of safe and accurate information that can make the lives of people with disabilities and their caregivers easier." says Alex. "I can't wait to share this amazing tool with the world."